Below are resources from the San Mateo County Child Care Partnership Council's Child Care Subsidy Program. These resources may be used as a reference for other counties. 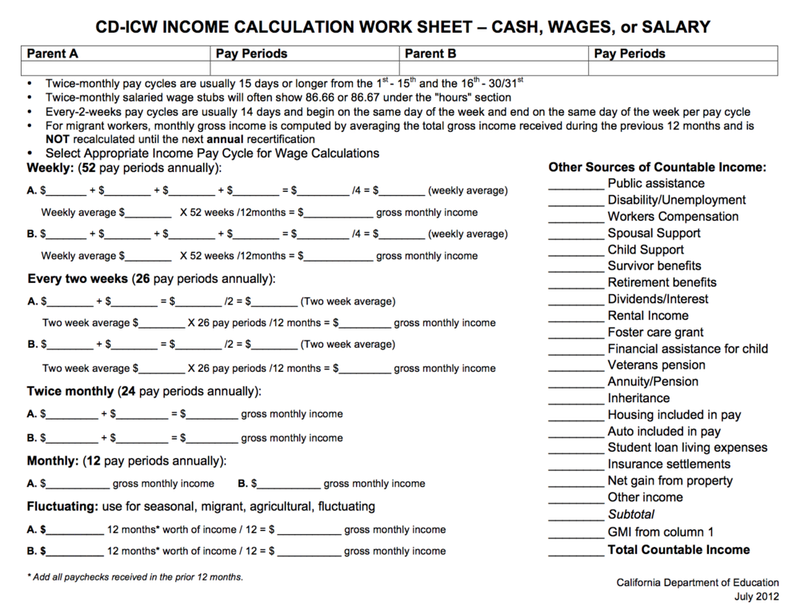 This income calculation sheet can be used to convert income from various pay period lengths into a gross income number. It is available in both PDF and Word formats. This zip file contains various forms in English and Spanish used within the San Mateo Child Care Subsidy Program. This includes income ceilings, the participation agreement, a contract hours worksheet, self-employment verification, and more.